24" & 32" Length Aluminum Hanging File Bars - 3/4" x 1/8"
Home Drawer Boxes File Drawers and Hardware 24" & 32" Length Aluminum Hanging File Bars - 3/4" x 1/8"
These aluminum bars are 3/4" x 1/8" and you can custom cut to your specified length with just a hacksaw. If you use the 3/4" hanging file bar, use the flush mount bracket set (KIKHFB.FM). 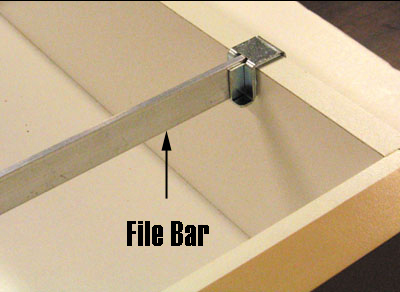 Other bracket sets can be used, however the bar will stand approximately 1/8" above the top of the file drawer.